A few months ago, I bought these nifty little silicone cups (Poach Pods) designed to poach eggs. That they do, very well. Just spray with cooking spray, crack an egg, drop it in, and “float the boat” in a pan of boiling water (covered) for 3 minutes to cook the white and leave the yolk a little runny. 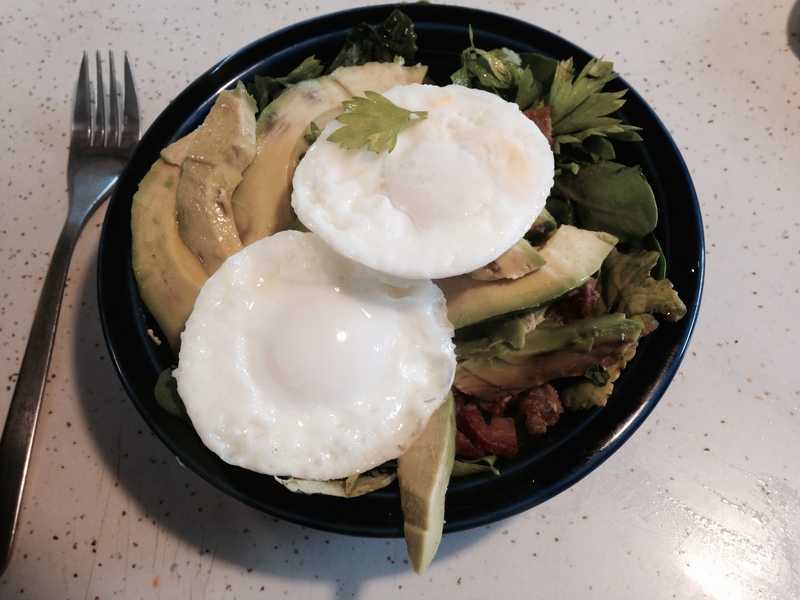 I’ve been experimenting with poached eggs atop a bowl of greens, dressed with olive oil and apple cider vinegar. Today I hit the jackpot!